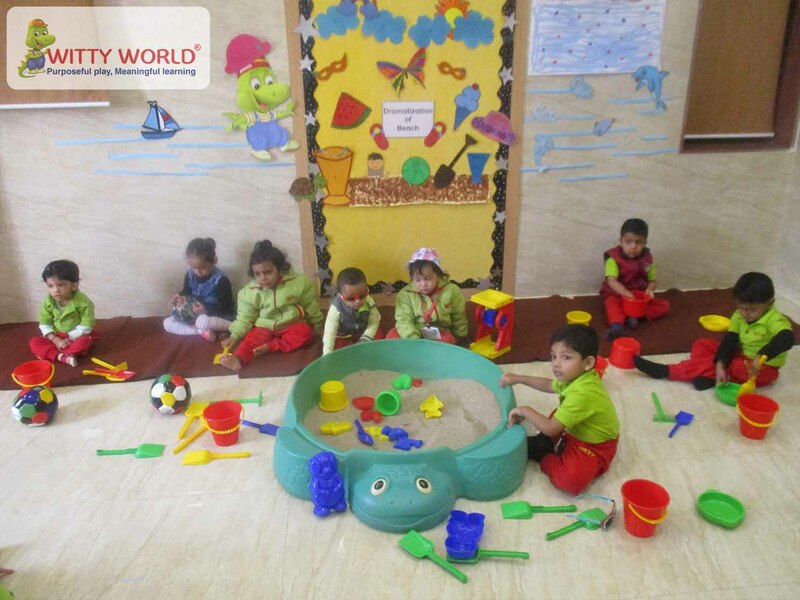 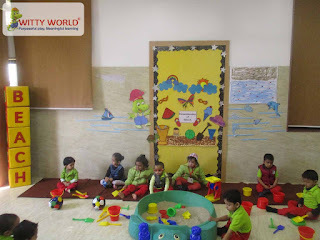 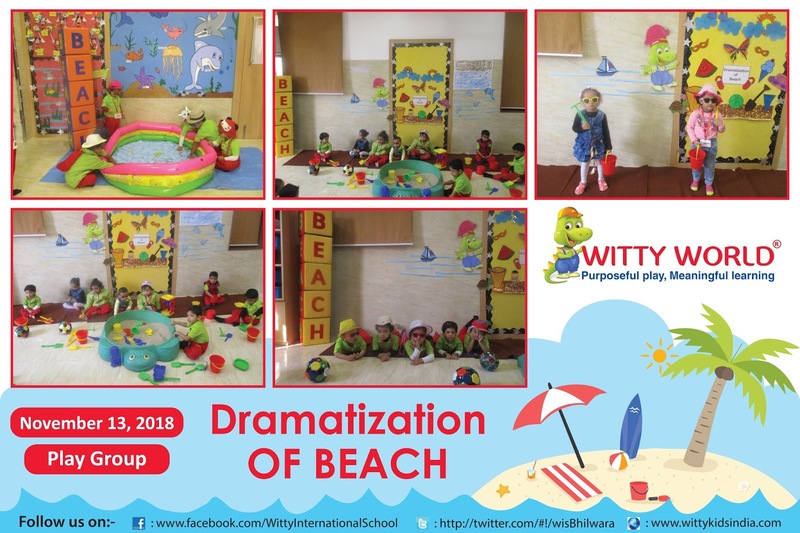 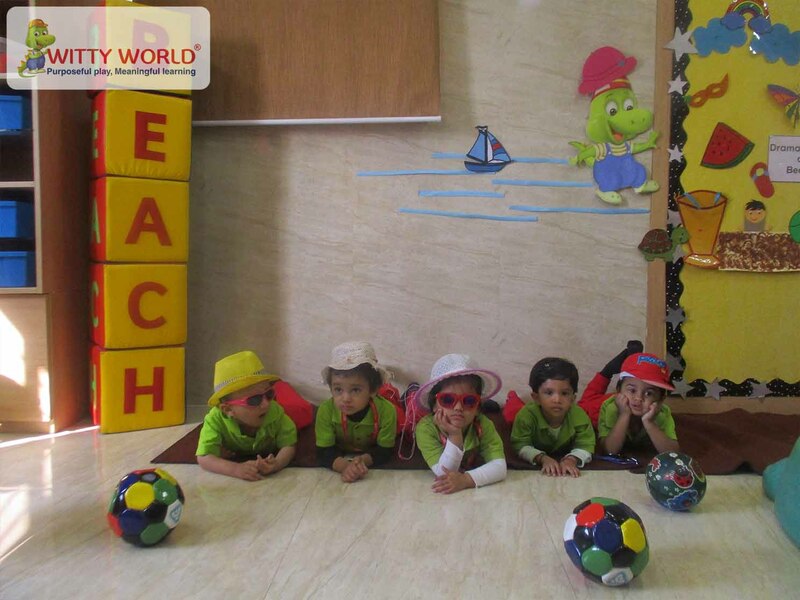 Dramatic play at the beach was held on Tuesday, 13th November 2018 at Witty World, Shastri Nagar Bhilwara for the kids of Playgroup. The concept of beach was explained to the little Wittians through play way method. 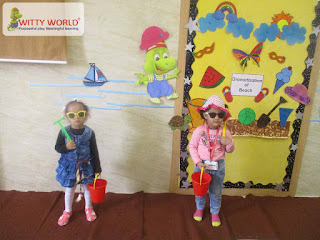 If we cannot take them to the beach, lets create a beach inside the school premises with this thought teachers decorated the classrooms and children brought their favourite hats and sunglasses to give it a real and fun look. They enjoyed playing with the sand toys in the sand pit. 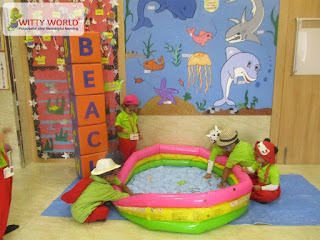 It was a fun loving experience for kids.